This vessel is a very attractive coastal estuary cruiser. Fitted out to a very high standard and only launched in mid 2018, she has less than 67 hours on her Vetus engine and is as new. She is fully equipped with the latest navigation equipment and is available now due to the current owners forthcoming re-location. 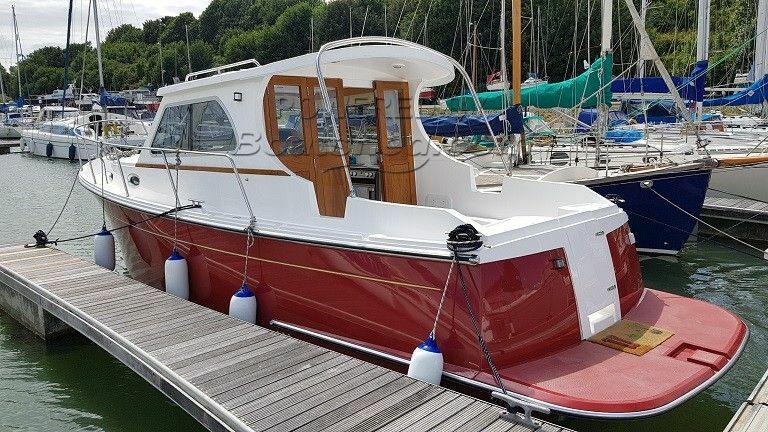 These boats are currently being built by Landamores and start at over £100,000 before adding some of the extras which this vessel already has. This Jersey 30 Coastal & Estuary Cruiser has been personally photographed and viewed by Nicholas Crook of Boatshed Suffolk. Click here for contact details.